As the days get shorter and the temperature drops, farmers need to get the last of the farm crops and garden produce harvested, processed, and stored for the winter. 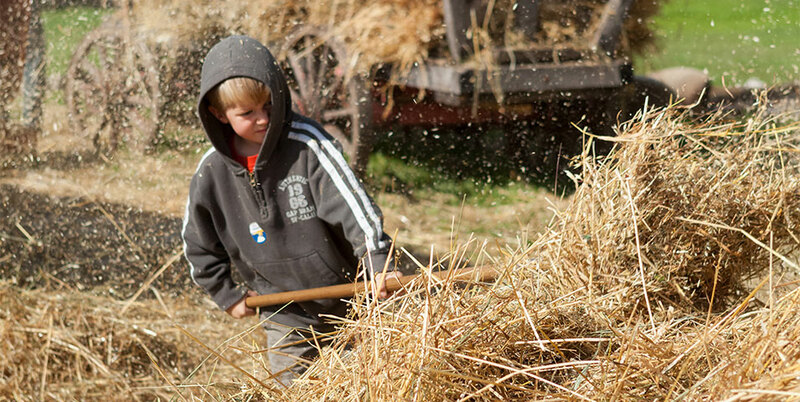 Experience the last days of harvest in a festive work atmosphere on the historic Kelley Farm. At the historic farm, visitors can help finish up field work, husk corn, and store produce in the root cellar. Then finish up the last batches of pickles, make corn husk dolls, or join in a quilting bee. Then in the Farm Lab, help harvest the last of the garden produce and mix up feed for the livestock. Plus, see demonstrations of modern preservation techniques, such as canning, freezing and dehydrating, in the Learning Kitchen and make a decorative harvest arrangement to take home.